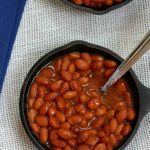 Slow Cooker Savory Baked Beans–this easy bean recipe is a twist on the normal sweet version of baked beans, these baked beans are savory and sure to be a hit at your next picnic! 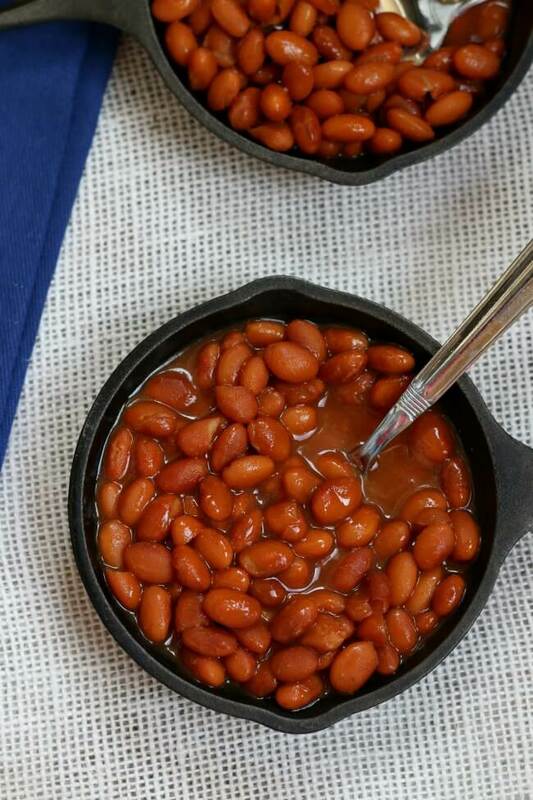 Baked beans are a popular picnic and potluck dish and making a savory baked beans instead of traditional sweet baked beans is a unique twist. And the bonus is that they are made in the slow cooker and couldn’t be easier! I may be the weird one one but I don’t really like ultra sweetened meat or beans. I for sure like sweet in my desserts but not really in my dinner. A savory version of baked beans made in the slow cooker. Add both cans of beans, juice and all, to the slow cooker. Add in the liquid smoke, brown sugar, bouillon, mustard, garlic powder and red pepper to the slow cooker. Stir in ketchup and serve. I used my 3 quart slow cooker for this recipe. I’m the same way. I love desserts but that’s the only thing I really like sweet. I do not like sweet sauces, relishes, or salad dressings and I don’t like beans that are really sweet. 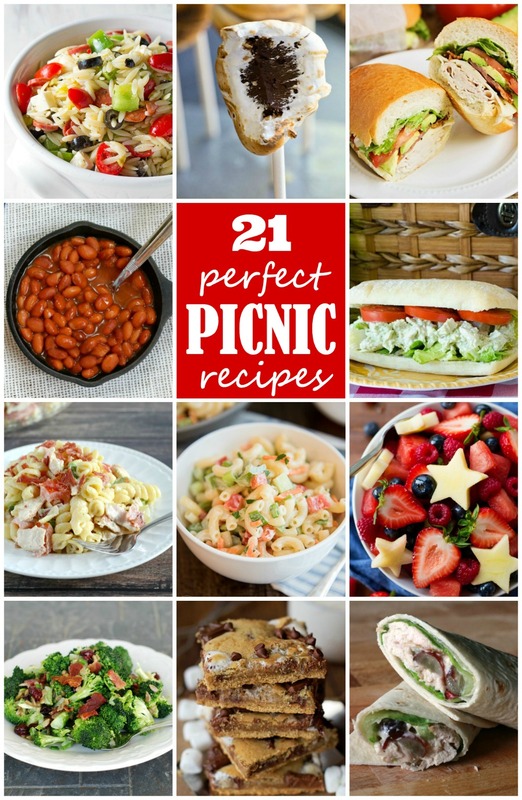 Baked beans are a must at every picnic. I am making my version today! And I can’t wait to check out the other recipes! I don’t like my baked beans overly sweet either. I bet these are delicious with the addition of the liquid smoke. Yum! 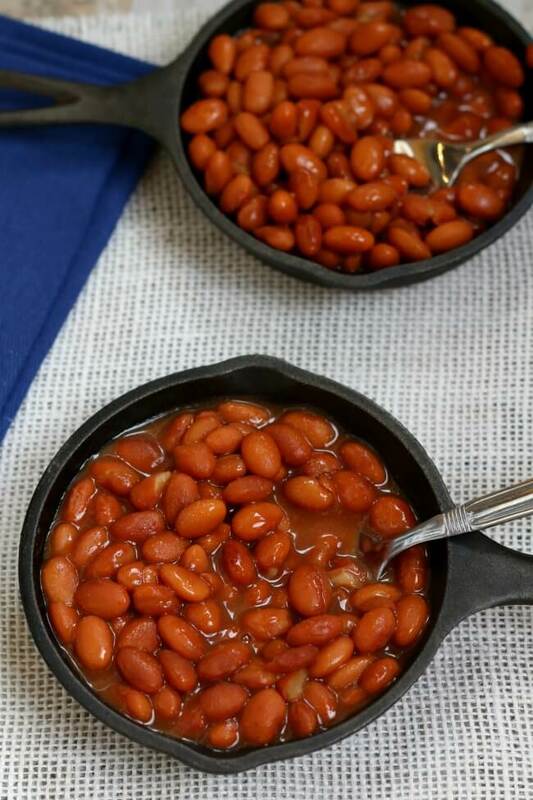 Baked beans are a definite must have at a potluck or picnic. These look so packed full of flavor and goodness!